Expertise information on tire sealant industry. Why Tire Sealant Did Not Work? 1.The puncture is over the working range. Solution: Use other traditional ways, such as cold patch, cold bar glue, rubber strip. 2.The puncture is on the top/side of the tire where sealant can’t seal. Solution: Use other traditional ways, such as cold patch, cold bar glue,rubber strip. 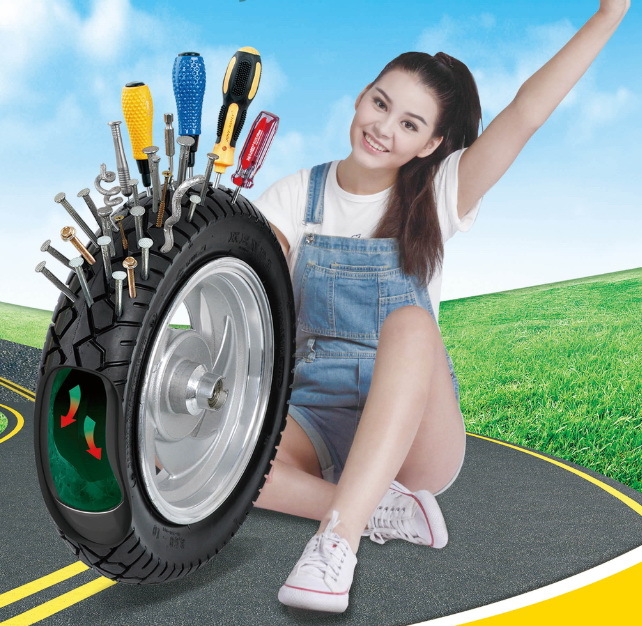 Qiangbao tire sealant is formulated with rust and corrosion inhibitors as well as a PH buffer making the product neutral. All of these ingredients work to protect the integrity of your rim. It is important to note there are factors which can allow damage to occur in spite of this.